Netflix just can't catch a break. In a PR and stock price nightmare, the company announced a price hike moving from basic plans starting at around $10 a month to seperate fees for their signature DVD-by-mail service and their online streaming movies-on-demand offering. Now customers must choose either the streaming service (with convenient set-top box playback on devices such as Xbox 360, ROKU player, TiVo, and even many newer television sets) or receiving the familiar red envelope with a disc at your doorstep. Each service is now $8 a piece-- a 60% price increase for those without a calculator handy. "It is clear from the feedback over the past two months that many members felt we lacked respect and humility in the way we announced the separation of DVD and streaming, and the price changes. That was certainly not our intent, and I offer my sincere apology. I’ll try to explain how this happened." Then Hastings continues to explain that the rate hike was necessary to improve the technology of the streaming platform. What has alarmed users, and as a result shareholders, most, however in the CEO's message seems to be the announcement of a split. Where both products were once offered under the "Netflix" name, now the physical DVDD service will, the note informs, be called Qwikster while the streaming option will retain the Netflix brand. Now to create queues, search, rank and share titles users will be forced to use two separate platforms-- a confusing option it appears many users are not pay MORE for. 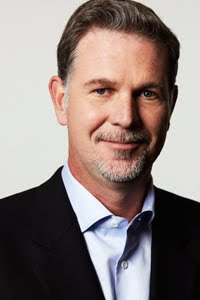 Is Netflix doomed? Did you unsubscribe? What can save the struggling company from its recent downward spiral? What other streaming movie on-demand options do you recommend? Noting the nearly three months since Google+ hit the web, the tech giant announced improvements (nine to be exact) to the social networking site competing with Facebook. Google+, at approx. 10 million users according to some reports, http://www.blogger.com/img/blank.gifhas a fraction of the traffic of the more-established Facebook at 750+ million users. That hasn't stopped Google from devoting massive resources to the project. Today's announcement brings, among other improvements: enhanced features for Hangouts (Google+'s group video chat product), the launch of a Hangouts developer API for creating apps and interfaces, as well as the news that invitations are no longer required. Much to the dismay of many loyal Google users (including myself), they did NOT release support for Google Apps accounts-- the custom "bring your own domain" solution for companies, small businesses and power users with their own branded presence online. Also notably missing from today's launch is the much-anticipated business profiles feature allowing those non-user accounts from businesses and brands to stake their outpost on the newest social network on the block. Both features are said to be in testing now and are expected to be released soon. Are you using Google+? Will these features impact your experience with the social network? 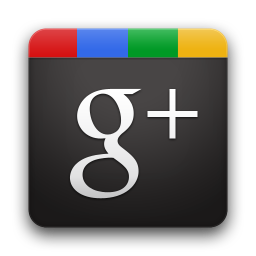 What would you like to see added to Google+ next? DISCLOSURE: Despite my best efforts, a family member working on the Google+ team coudn't, wouldn't and didn't share any information prior to today's announcement or influence coverage about this news. Maybe next time?